Founded in 1981, All Plastics and Fiberglass is a manufacturer and distributor of industrial products. When it comes to plastic film, they have exactly what you are looking for. 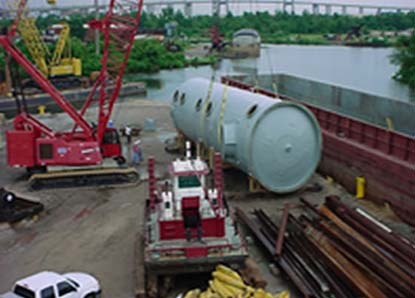 No matter how large or small the job you need is, the company is committed to a fabrication process able to assure customers of the absolute highest quality product available in the market today. Diversified Plastics offers many varieties of plastic poly films. High density. Low density, coextrusion and multilayer to name a few. Clear or printed. Stock or custom production orders. Medical, food/produce, retail, industrial, animal bedding, mulch bags and more. Quick turnarounds, on time deliveries, volume discounts and exceptional customer service sets us apart from our competitors. Plastic film is simply plastic material that has been produced in a thin, flat continuous sheet to a precise thickness. Used in a number of industrial, commercial and residential applications, plastic films are made of several different polymer resins. These polymers are made up of long chains of monomers that form covalent bonds among themselves and with other molecules. The most common chemical systems or types of plastics used in the manufacturing of film include polyethylene, polycarbonate, polystyrene, polyvinyl chloride (PVC) and polyoxymethylene among others. While the pervasiveness of plastic is readily recognized in everyday life, plastic film applications are often overlooked. Some of the most common uses for plastic film include plastic bags, shrink wrap and protective packaging. Building, construction, packaging, agriculture, aerospace, automotive, electronics, food processing, semiconductor, marine, medical and military industries employ film in these contexts on a daily basis. Additional applications for this versatile material include wood coating, crop and seed protection, dry-wall coating and curing blankets for concrete. Most often used for moisture and environmental resistance, film can be treated to provide anti-static control in order to prevent the build up of energy, protection against electrostatic discharge and electromagnetic interference, flame retardant and dampening. It is important to consider the capabilities of a specific plastic film with regards to its intended use. Plastic film manufacturers can also significantly alter the characteristics and usability of the film by using a variety of different fabrication techniques. While casting, winding and sheet extrusion are commonly used to produce plastic film, blown film extrusion is the most popular for many applications. In this process the chosen polymer mix is compacted and heated to its flow point, at which time it becomes a viscous fluid. The molten polymer is extruded through a die producing a tube of plastic. A hole in the center of the die forces air into the enclosed tube. Uniform pressure is applied allowing the air to inflate the plastic at a constant rate creating an even thickness. As the bubble expands upward, a cooling ring slowly lowers the temperature, returning the fluid to a plastic state. At the point of solidification, nip rollers collapse the bubble and flatten it. The film may pass through a treatment center at this point if any of the aforementioned treatments are desired. While the film is then ready for handling, plastic film manufacturers will usually wind the film with uniform tension for easy transport. In addition to treatments, additives such as heat stabilizers, lubricants, fillers and plasticizers may be added to the raw materials utilized in fabrication in order to improve the physical and mechanical properties of the end product. These can have a significant impact on the color, strength, density, working temperature range, structural integrity and corrosion and heat resistance of a polymer. Plastic Film - All Plastics and Fiberglass, Inc. 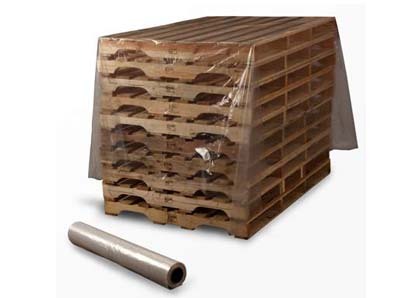 Plastic Film - Diversified Plastics & Packaging, Inc.